On the Waterfront at the Terrace! This stunning lakefront property is arguably the most desirable location available at the Terrace. End unit with much privacy. Built in wine cooler. Wolf range. 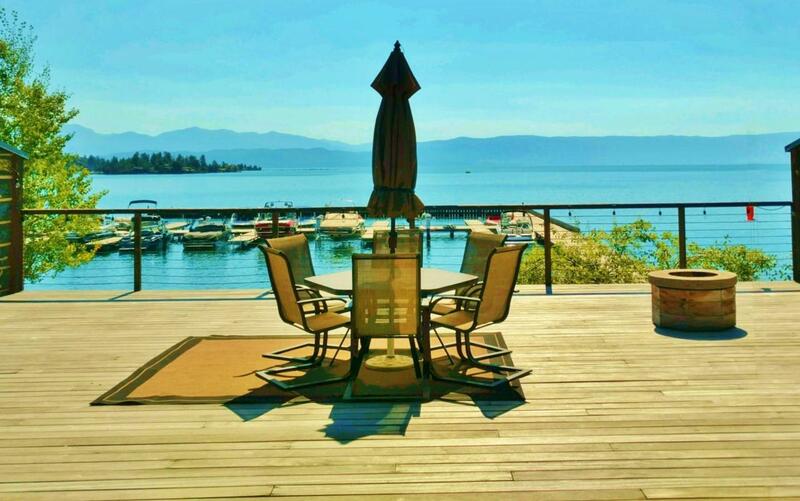 Walk out to your private terrace on the shoreline, enjoy your boating fun, have a fire in your deck fire pit. This is Flathead Lake living at it's finest. Low maintenance makes a perfect full time or second home choice.